See this little package...see it? It is loaded with natural skin care goodness that was made and packaged in my very own city (Toronto). So what does that mean? Well, have you ever heard me make my claims to how much I love Canadian made cosmetics/skincare (if not click here and search for the Canadian Pride Series). I also love to have more natural skincare in my routine and I love to help out small business with my purchases. Everything is Paraben and Sulfate Free. Free from mineral oils and petroleum based products. Preservative Free, Free from artificial fragrances and dyes. Hand-blended, in small batches. Ok so you see the things I put in Bold, those are important things that peeked my interest and is why I picked up these products. I only got 3 items, but there is men's care, baby body care, lip balm and even a belly rub product for expecting mommies. Bright Eyes: This eye product is an oil but light and absorbs right into the skin leaving no oily residue or greasiness. I love this since I always feel like my eyes are not getting enough moisture and need more love then I give them. This stuff seems to be helping my skin feel better instantly. The little eyedropper is great too...I hate contaminating a product's bottle with my fingers, and now I don't. Fractionated Coconut Oil is deeply hydrating, yet glides on lightly with a silky finish. Carrot Oil is amazing for smoothing delicate and sensitive areas, while powerhouse Argan, Borage, and Evening Primrose Oils feed the skin with beneficial essential fatty acids. Rose and Neroli essential oils help refresh and rejuvenate sleepy skin. 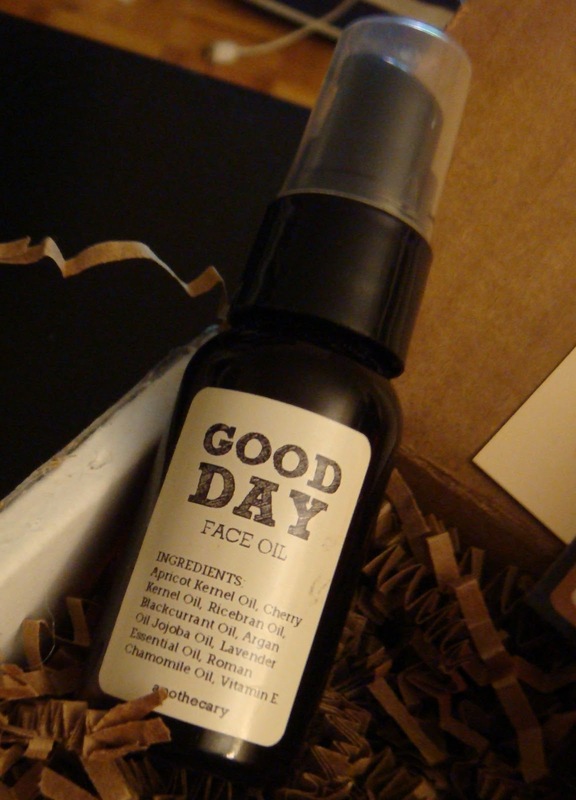 Good Day Face Oil: This is a lifesaver for my awful dry cheeks. Once again this stuff is so light that it absorbs right into the skin. No grease or oil is left behind, just soft skin. I like this one the most. A light and effective blend to soothe and balance sensitive skin. 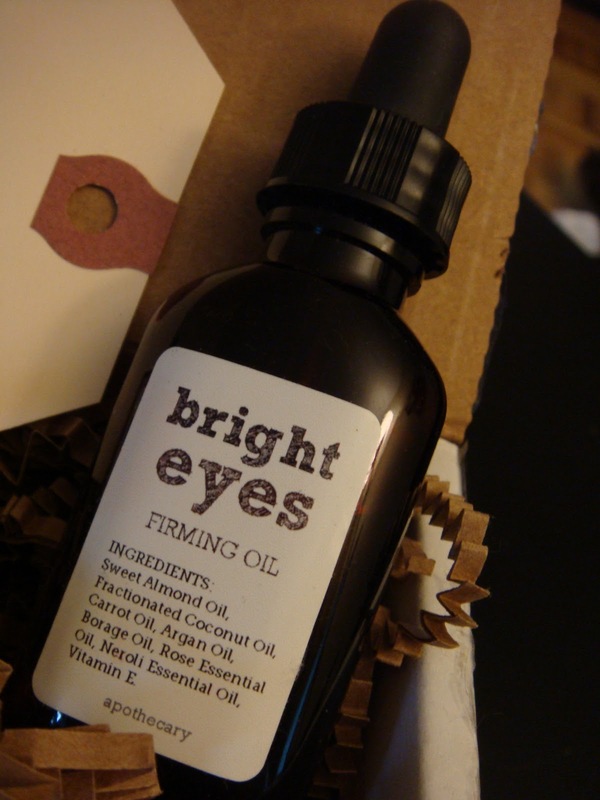 Ideal for daytime use.Blackcurrant, Cherry and Ricebran oils are rich in antioxidants. Argan oil is an all around powerhouse with anti-aging properties. 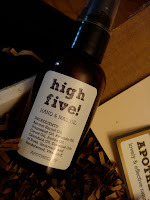 High Five: For my dry little fingers and hands...have you seen my hands. Ick. Dry is not the word, I get cuts and cracks all over my hands. This oil absorbs fast and hydrates perfectly. I love this oil. 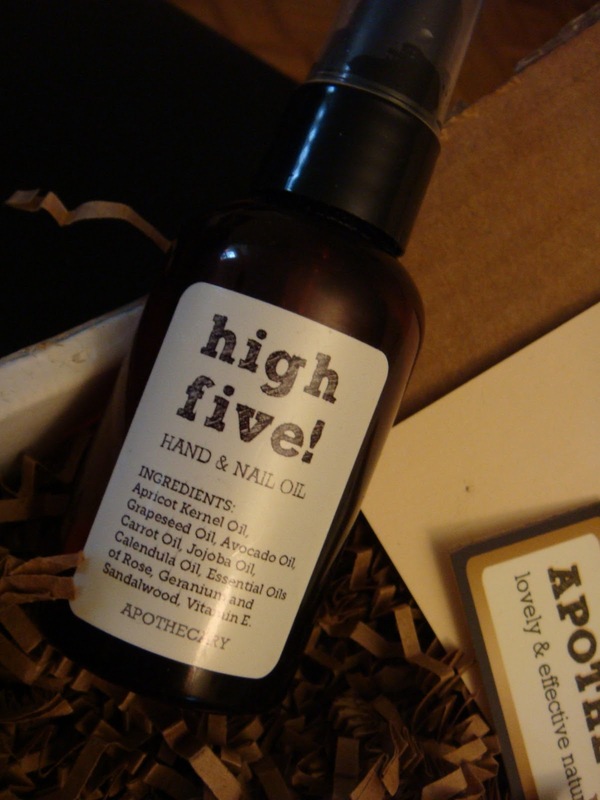 A wonderful combination of nourishing oils to protect and soothe dry, chapped and irritated hands - and it's free from nut oils too! I like the Canadian/Local factor, I like that I am helping out a local company with good principles about natural skin care. I love that they have a baby rub product that is safe for babies to use (babies need products that are edible since they stick their parts in their mouths). I love how they moisturize and how well they work. I also find their prices really reasonable. The fact that the oils are not oily is amazing. I love how fast they absorb and how well they work.